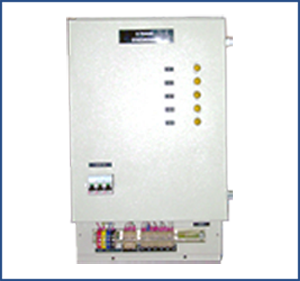 This controller operates on a 3 phase line to keep the primary voltage of a 3 phase transformer constant. This is a Thyristor based Controller, specially made for Electroplating operations. An electroplating process is more efficient if the voltage DC and its current are maintained at a desirable or set level. To work with the unstable voltage environment at the 3 phase incoming side, thyristor control technique is the best choice. Other Applications: Industrial heater control, soft starter. Only Controls are also available, hence a user can use his power circuit and other items and get the related results.